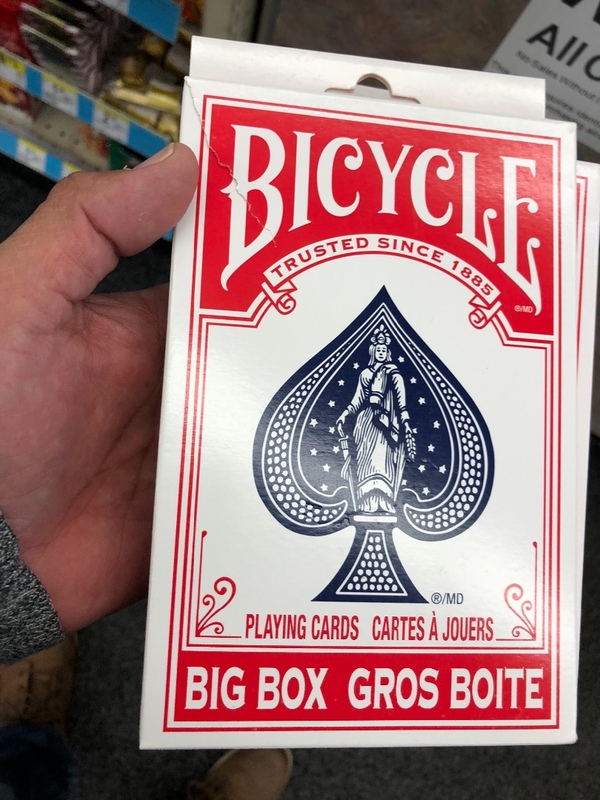 Hi Fellas, I just want to let you know that they are selling jumbo Bicycle cards at Walgreens for just $7.99. I use them for a trick that I learned in Mark Wilson’s Course in magic. 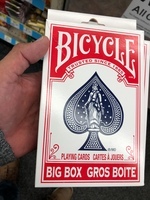 I often give the card away to a kid, so having a bunch of these decks is great. I bought about 9 of these. Usually, around the Holidays BJ’s has Bicycle bricks for $13. I stock up then. 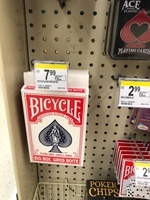 Best deal I seen in magic in a long time! Thanks Rudy for mentioning it to begin with! Wow, Thank Mike!! 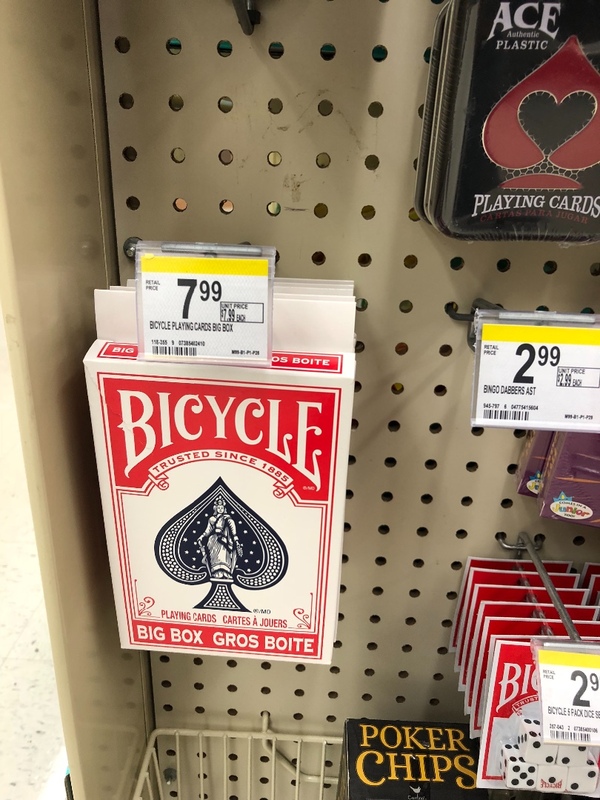 I didn’t know they were on sale. I will be out and about in just a little bit. I’m gonna swing by and pick up a bunch. Thanks for letting us know!